Mosum Ernie Cardinal’s impassioned plea that First Nations youth who move to the city must retain their culture and “find a comfort zone for yourself,” hit home with Virginia Dowdell. “He talked about finding a place that resonates with you, something that feels comfortable for you and heading in that direction. The idea of finding what flows in your life is important and can lead to really fruitful things,” said Dowdell. 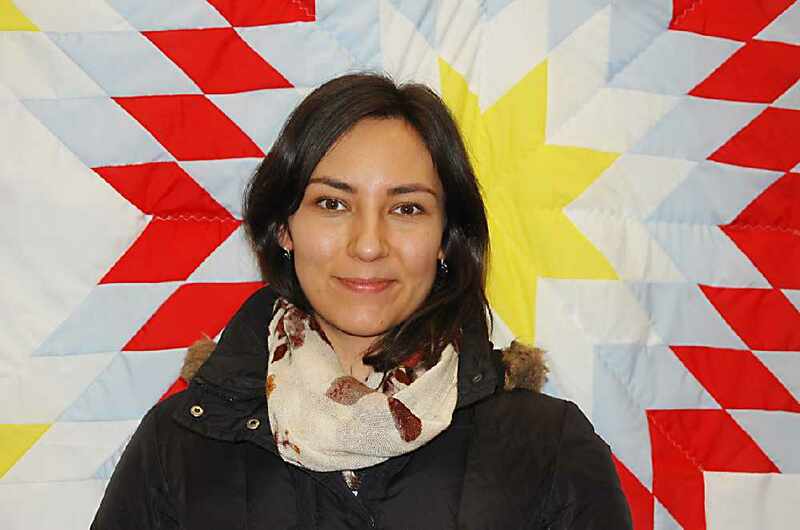 Dowdell, who is Métis, grew up in Edson and is now studying communications at MacEwan University in Edmonton. She is also in the process of digging more deeply into her Indigenous roots and tracing her genealogy. Knowing who you are and where you come from; knowing your language and your culture; finding strength in those aspects of your life; were stressed with both humour and poignancy by mosums Cardinal and Rick Lightning, who spoke at MacEwan’s Indigenous Education Centre on Jan. 23. “Find that comfortable zone of what you really want to do and then find a support, like your parents, your grandparents, like me, like Rick. We’ll help,” said Cardinal. And while he offered the support now, Cardinal admitted he hasn’t always been able to offer that support. As a former residential school student, he turned to alcohol for a long time. But these “trials and tribulations” can no longer be used as an excuse for poor care of today’s youth, he said. As someone who works with the parole board, Cardinal is constantly reminded of the loss of culture and traditions and the need to hide that pain in alcohol and drugs. Lightning encouraged students to return to their home communities to address that dysfunction.